Certain people don’t quite have the highest opinion of hotel management, but we’re here to prove them wrong! 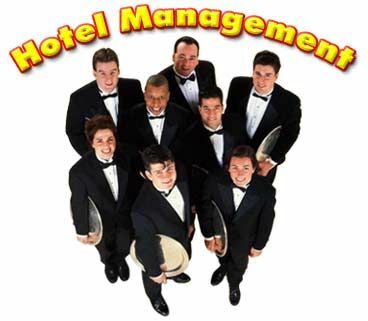 Hotel management is actually a gateway to a number of successful careers. And worry not, there are plenty to pick and choose from when it comes to a career in hotel management! But first things first: what is hotel management? As the name suggests, hotel management is essentially the management system that well, manages (for lack of a better word, considering this is quite self-evident and more importantly, highly obvious! ), hotel businesses. Surely, a hotel is a business, is it not? And that would clearly require a management system in place to handle it all? That’s where hotel management steps into the picture –to ensure the smooth up and running of hotels. So, a career in hotel management could entail a variety of fields of expertise. This could therefore range from hotel administration, accounts, marketing, maintenance, housekeeping, food and beverage, catering… Ah, the list is just endless, and not to forget –endlessly interesting! For a hotel to function smoothly, without any glitches, hotel management personnel work day in and day out (literally). So, it’s high time the general society lets go of all the inhibitions related to hotel management and embrace it as a career worthy of pursing, and more importantly –worth respecting. For without efficient hotel management in place, how would you travel the world, laze in fluffy beds, dine at the best of hotels’ restaurants, revel in room service, and delight in those much coveted hotel breakfasts? Behind every successful hotel is a staff of dedicated employees working behind the scenes. And let me tell you –it’s definitely no easy job. And that’s why there exist a number of professional educational institutions to equip you with the necessary knowledge and skills.The top 10 hotel management colleges in india are just as competent as ay other field of study –getting into one isn’t as easy as you might think! So, that’s a little take on hotel management for you –I do hope it’s changed nay contrived notions one might have, and that we can all give the field of hotel management its due credit and respect.